The “iPad 4″, as those sources have dubbed it, will stick with the 9.7-inch display size – and, presumably, the higher resolution panel of the iPad 3 – but will pair it with “much upgraded hardware specifications and integrated applications.” They’re designed to better compete with Windows 8 tablets expected in Q3 this year, as well as the new legion of Ice Cream Sandwich Android slates. Apple’s relatively moderate changes to the iPad 3, the sources indicate, will allow the company to do the unthinkable: push out a higher resolution display while simultaneously lowering the price. In fact, Apple is said to be planning to knock $100 off the iPad 3, bringing the entry-level model to $399 and ratcheting up the pressure on its already struggling rivals. Still, while this all sounds well and good, it’s definitely not the first time we’ve heard talk of a pair of iPads in a single year. Apple was tipped to be planning the same thing for 2011, launching the iPad 2 in Q1 and then following up with an HD-screen version later on. Those intentions were reportedly scuppered after issues securing sufficient 2048 x 1536 displays and with providing sufficient backlighting to the pixel-dense panels without making the slate fat. As always, the rumors are sparse on details, and should be taken with more than the recommended daily dosage of salt. 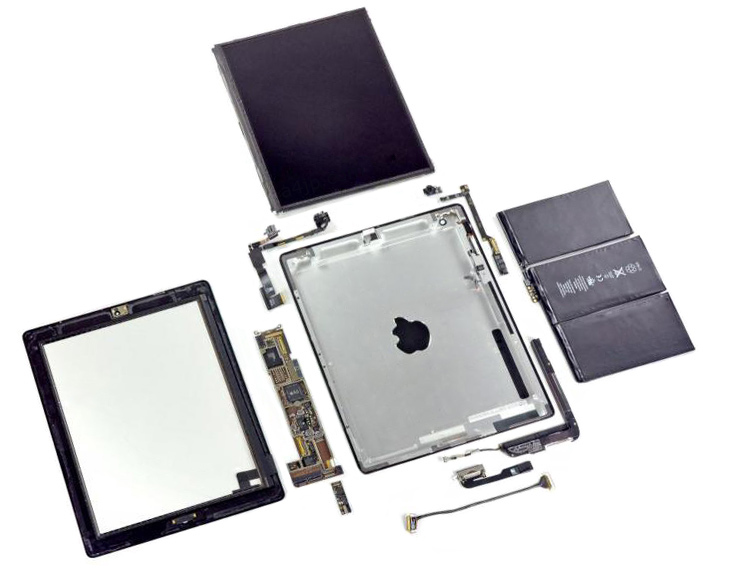 Still, Apple’s investment into the supply chain has already proved its worth, allowing the company to deliver expensive components like aluminum casings and IPS displays while keeping prices competitive, and squeezing suppliers a little more to shave $100 off the iPad 3 isn’t beyond the realm of possibility. A 32GB iPad 2 costs Apple $337 to build and retails at $599, for instance, and those BoM estimates were from back in early 2011. What remains to be seen is exactly how the “much upgraded hardware” for the fourth-gen iPad – undoubtedly already in development – pans out. That could see the debut of the Apple A6 chipset, itself believed to be ready for primetime in 2012, boosting speed and efficiency of the tablet, along with a new, significant iteration of iOS. The iPad 3 won’t be released until the 3rd quarter of 2012 but the iPad 2s (speed) will be here soon. The 3rd-generation iPad has a faster CPU and the screen is also higher resolution, compared to the iPad 2 (2nd-generation). More details soon. Case-Mate: 67% of iPhone failures are due to cracked screens.